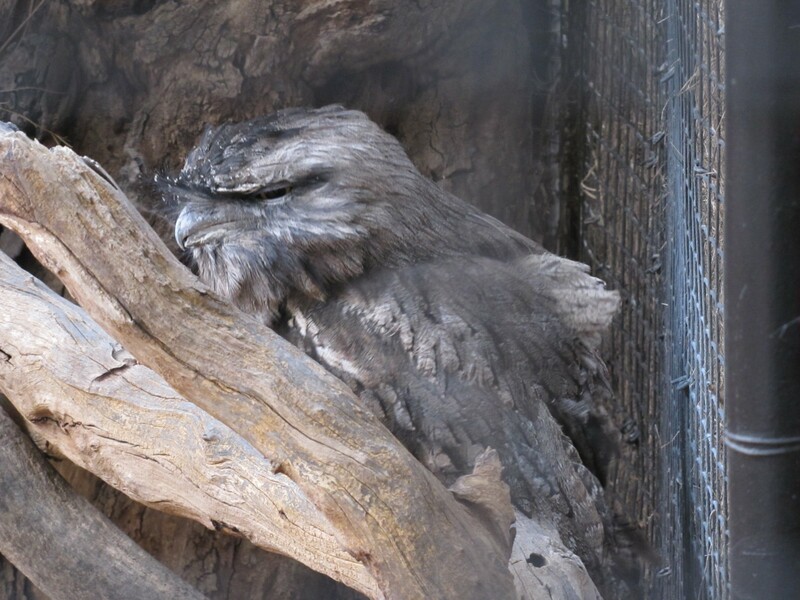 The nocturnal bird called the Tawny Frogmouth is one of my favourite birds. Ever since we saw one in a tree above our tent near Lake Hattah in north west Victoria many years ago, this species has had a special place in our lives. Being nocturnal, it is not a bird seen all that often. It is more commonly heard calling at night. From time to time we have one in our garden. One has even banged against our sliding glass door whilst catching a moth fluttering there. Finding them in broad daylight is a challenge. They are usually well camouflaged perched on the limb of a tree, their feathers blending in with the colours and markings of the branch. 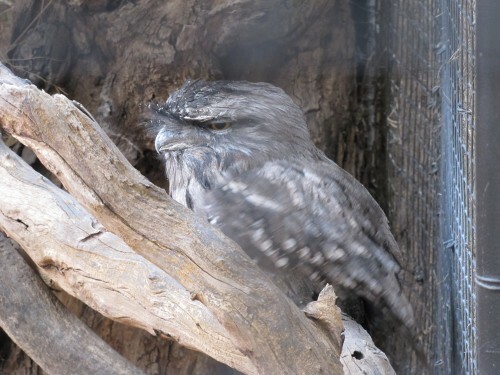 When smaller birds – such as honeyeaters – become aware of the presence of a frogmouth or an owl for that matter, they set up quite a fuss, drawing attention to the roosting bird. The bird shown in today’s photos is a captive bird, part of the excellent collection of birds of the Adelaide Zoo in South Australia.